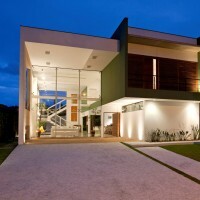 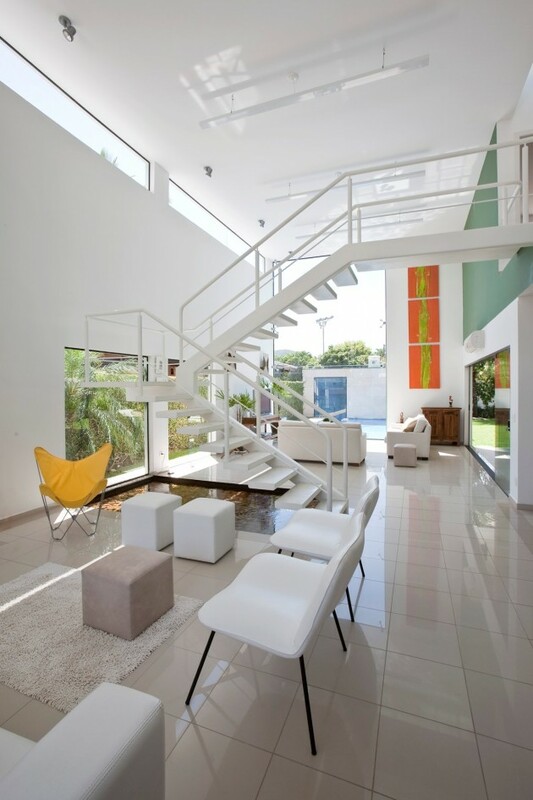 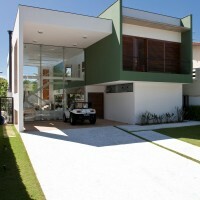 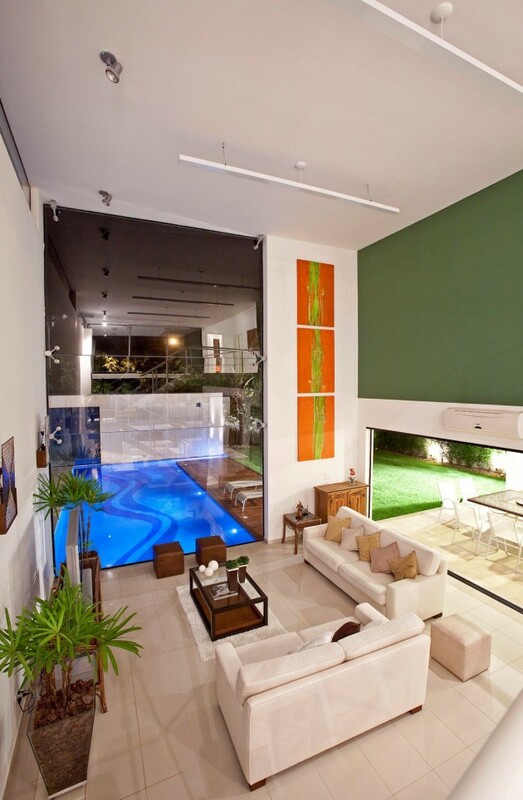 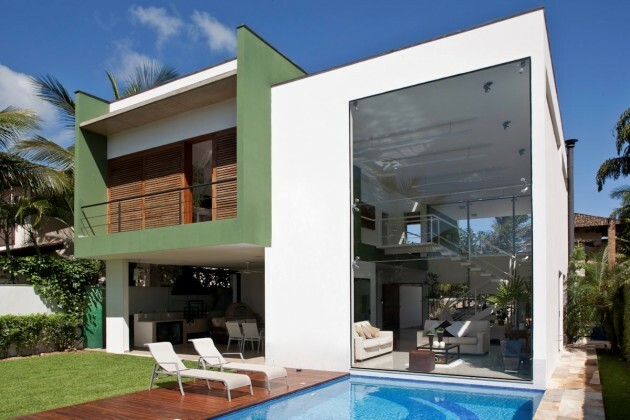 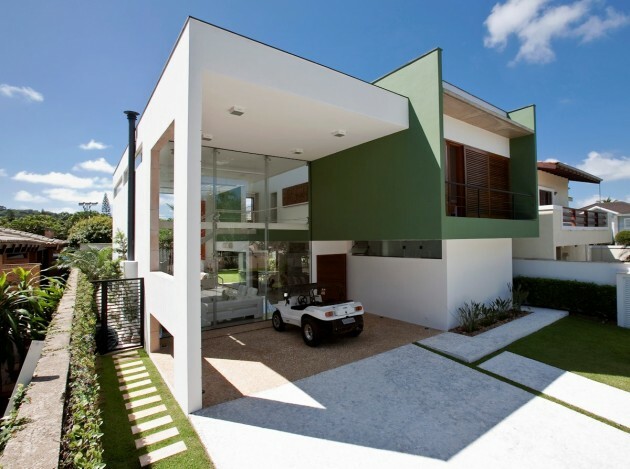 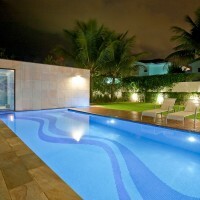 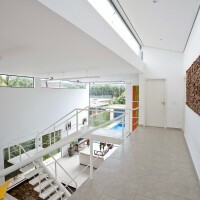 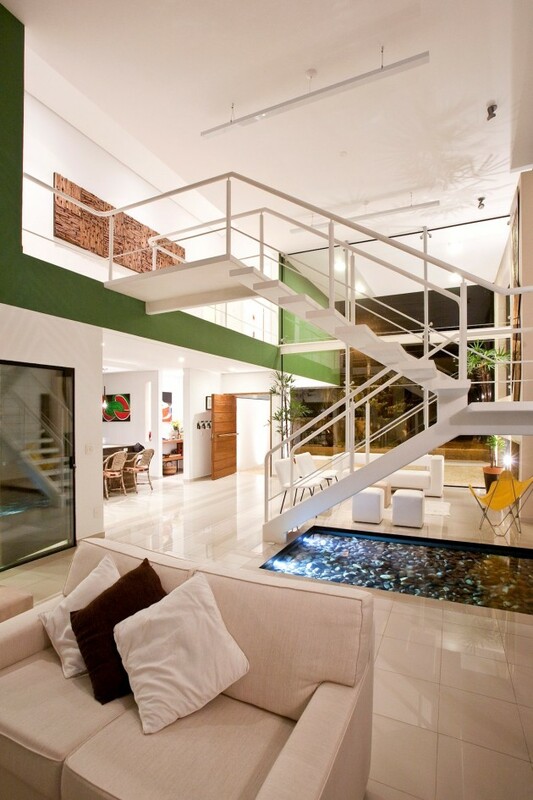 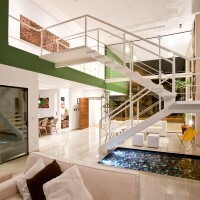 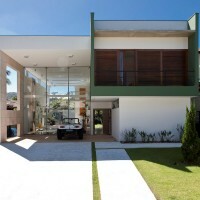 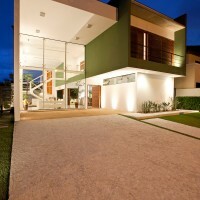 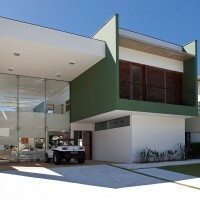 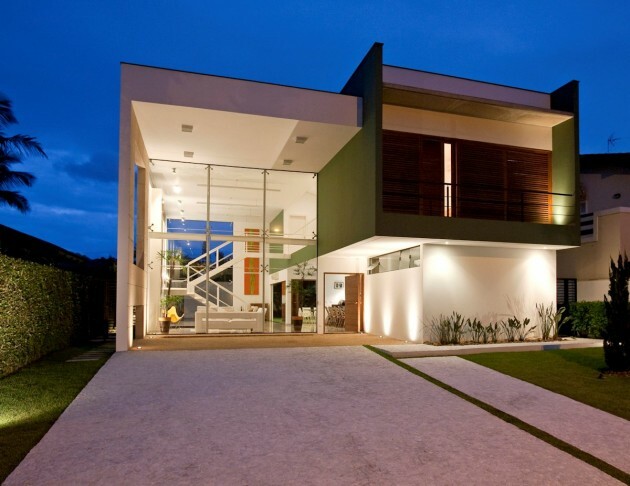 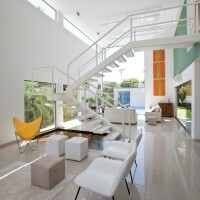 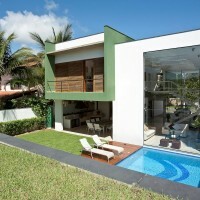 Architect Flavio Castro has designed the Acapulco House in São Paulo, Brazil. 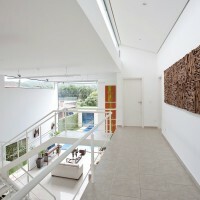 The house is composed by 6 squares grouped in pairs. 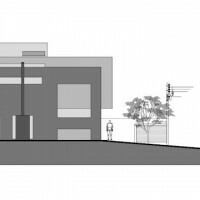 Within this compositional rule, two subtractions were made at opposite sides to form two venues: the garage in the front and the social area behind. 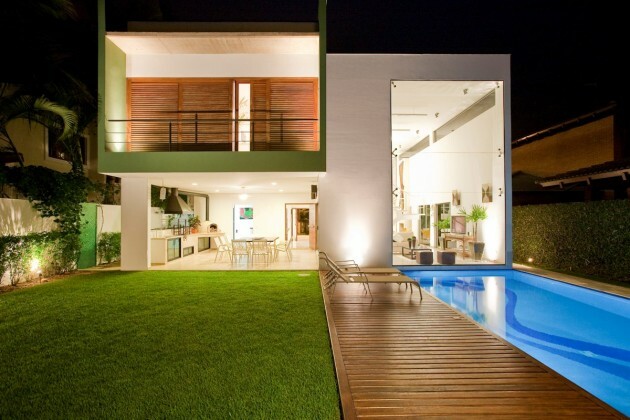 The different relationships that they establish with their neighbors (other squares) were determinate by the unevenness of the floor, transparency and accessibility. 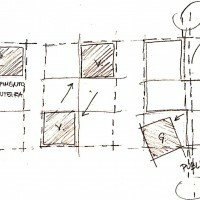 In the sketch below is possible comprehend this. 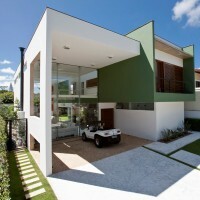 At the bottom left side the pavilion ends the succession of social environments. 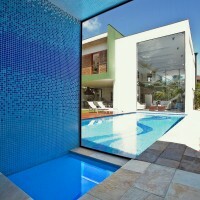 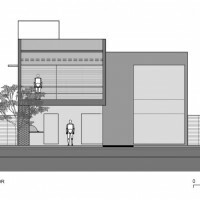 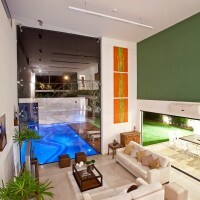 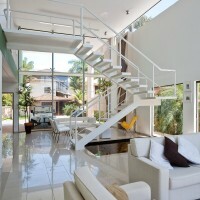 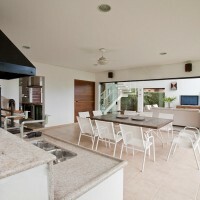 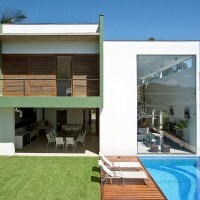 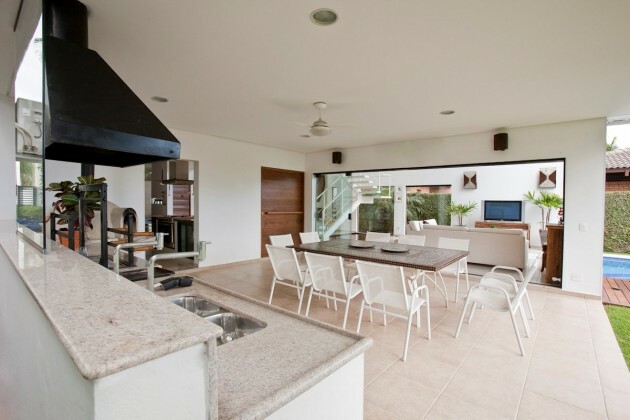 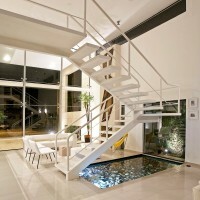 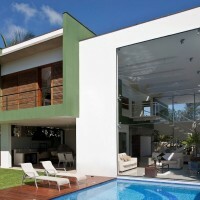 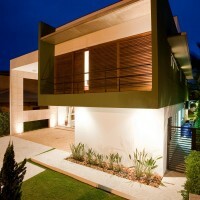 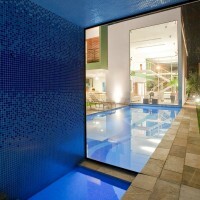 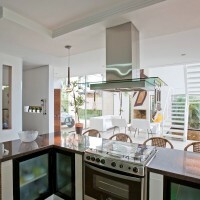 Separated of the house by the pool and deck, creates a tension between the house and itself. 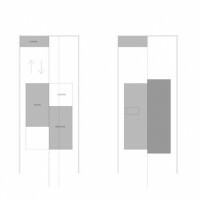 This interval space (range, pool) wins quality in the duality between “seeing and being seen”, completely dissolving the notion of attachment that could be created by the pavilion. 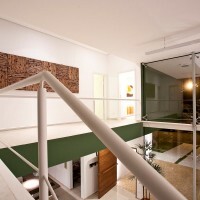 In the upper floor we have four suites with a marked symmetry. 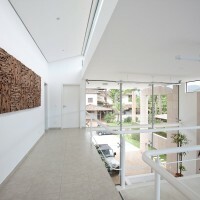 They are accessed by a hallway illuminated by a window above the head of the visitor and demystifies the corridor such as the word suggests. 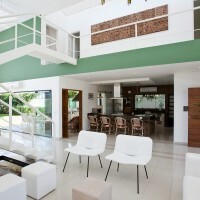 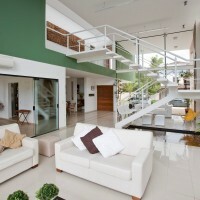 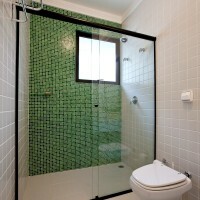 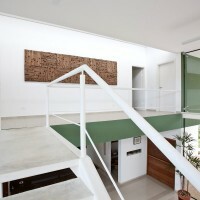 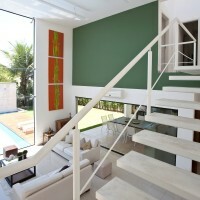 This entire upper floor is part of a common function (private area) outlined in the project by volume and color (green). 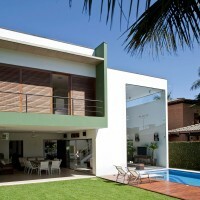 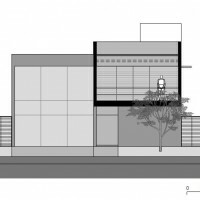 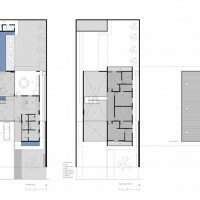 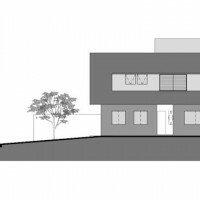 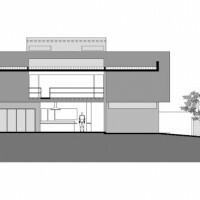 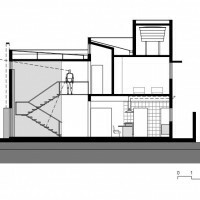 The openings (windows, etc) are projected in function of the touches between the geometries of the house. 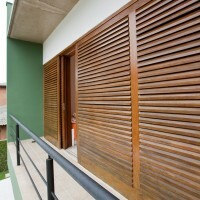 To the neighbors, the openings are very punctual, while in others facades are quite present. 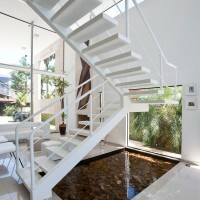 The water surface under de interior stair returns to the air humidity in days of intense heat in the city of Brazil, a tropical country, and the roof garden of the pavilion keeps a low temperature of its flat roof. 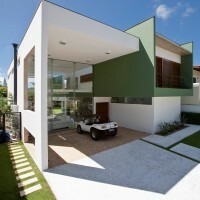 The logic of the regular squares greatly facilitated the mathematical calculations and the structural performance of the house, because the same constructive procedure could be adopted for the entire building. 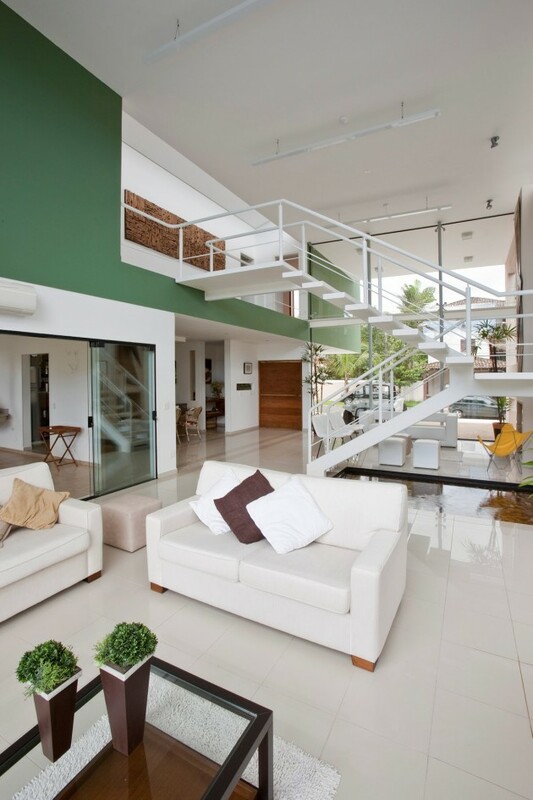 The distances between pillars are almost the same and there are no structural transitions between the main and upper floor.